Travel activities, the aggregate of traveler spend on tours, activities, attractions and events, reached US$135 billion globally in 2016. It accounts for 10% of global travel revenue and outsizes rail, car rental and cruise. 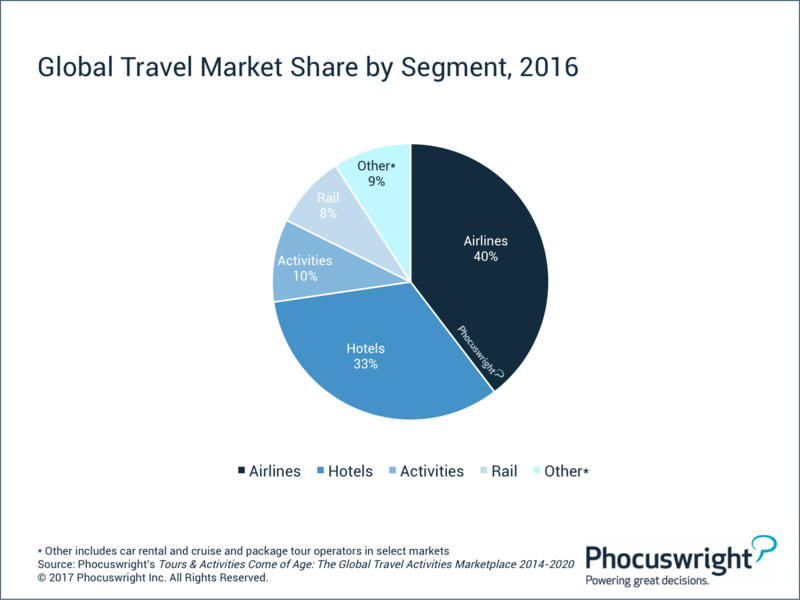 Despite being the third-largest travel segment, activities have remained a dark spot in the global travel, tourism and hospitality industry. However, the sector is going through extraordinary change. A vibrant reservation technology startup landscape is laying a critical foundation for sector advancement, and suppliers are finally adapting to the digital age. A host of startups focused on reselling activities have launched and online travel's biggest brands – including Expedia, Airbnb, and TripAdvisor – have moved into this space. All are fueling astonishing sector growth and travel activities is positioned to reach $183 billion by 2020. Do you subscribe to Phocuswright research? If so, great! Global, European and Asia Pacific Edition subscribers have immediate access to Phocuswright's Tours & Activities Come of Age: The Global Travel Activities Marketplace 2014-2020. Not a subscriber? Purchase your copy today or learn more about subscribing for access to Phocuswright's library of publications.